Art does not only satisfy the soul but also the mind. Accenting your wall with pieces of art is a great way to add color to the room, emphasize an architectural feature, or turn an ordinary space extraordinary. The good thing is that there are many ways you can add a pop of art to your walls. Even if you don’t have an eye for design, you can successfully decorate your walls. This is for someone who likes going to vintage shops and has collected quite a good amount of antiques. Don’t keep your collection in cupboards. You can flaunt them by hanging them on your walls. Vintage collections add a nostalgic background. Are you a book lover? Then, you’ll love installing a minimalist bookshelf on your walls. This works best on walls painted in monochrome colors. Display your favourite books in the living room. You can also add the books to your to-read list so that you can grab them whenever you have free time. You can make your own bookshelf with plywood, jigsaw, level, T-square, tape measure, and wood glue. Add a worldly charm to any space with a tapestry of your choice. Tapestries usually reflect the culture where they were made. These go well in homes with Boho themes. Simply hang them on your walls. If you’re into photography, you can hang your best works on your wall. You can also choose those which have the sentimental values. Family homes usually have hanged family photos in the living room and the bedroom. 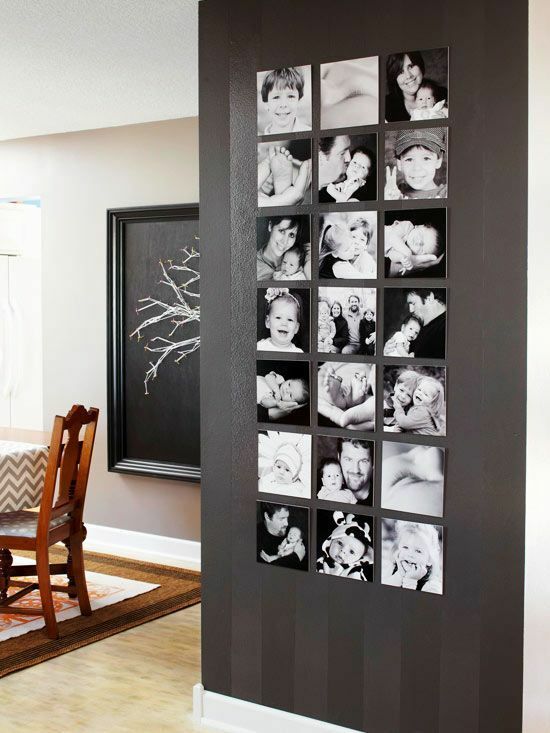 In displaying these photos, follow correct art-to-wall ratio so that they are arranged cleanly. Paintings can make the room more vibrant. You can choose works of art that make the viewer think or those that bring out a calm feeling. Large paintings should be positioned over the buffet in the dining room or the sofa in the living room. On the other hand, small paintings can make good end table decors. You can create your own painting frame. However, before you do, you need to learn how to use different woodworking tools and identify one from the other. For example, you need to know the difference between the circular saw the jigsaw. Wall decals are specially made to add a special pop of color on walls. There is a lot to choose from. You can choose word arts with meaningful messages. Use a wall decal if you want to display your favourite quotes or your life mission. You can also choose graphics. Make these the focal point of your room design. You can never go wrong with wallpapers. They can do a great job as an accent. Their visual impact can’t be underestimated. They are durable and can withstand wear and tear. However, their biggest advantage is their versatility. Unlike paint, they can add texture to the wall. These do not only give a unique lighting pattern, but they also make good wall decors. You can install them in rooms where you need a soft and ambient light. Just make sure to pick a sconce design that matches the wall painting. This is perhaps the easiest way to dress up any blank wall. Although, they are not the most popular option. Mirrors can open up space and create an illusion that the room is larger than it really is. If displayed at the right positions, they can give a relaxed feeling. They work best in guest rooms. Displaying dead animals in homes is not as popular as before. However, animals still inspire a lot of decorators. With faux taxidermy or fake animal heads with a modern touch, you can create a rustic wall. Whatever wall décor you choose, make sure that it reflects your home’s general themes. You don’t want it to stick like a sore thumb.